One of the hardest things to do is get out of the day-to-day grind – the immediate – and spend time thinking about the future. We know it’s important, but finding the time is difficult. It’s what our Jewish Community Foundation of Greater MetroWest (JCF) gets to do with donors on a daily basis. They help individuals dream about, build, and create their philanthropic legacies. Luckily, Greater MetroWest has a deep culture of legacy giving, and with the launch of JCF’s Create a Jewish Legacy program this year, that culture is continually expanding. It’s resulting in significant support for our UJA annual campaign and numerous projects and programs throughout our community. It’s a culture worth celebrating. This evening, JCF will hold its first “Shorashim” (Roots) Event, to honor members of the Lester Society, Lion of Judah Endowment, MetroWest Tomorrow, the Hershkowitz Society, and donors to Create a Jewish Legacy. This is going to be an inspiring and memorable evening, the first time we’ve ever recognized all our legacy donors in a single impressive event, and the first time we’ve recognized the amazing achievements of Create a Jewish Legacy in the community. 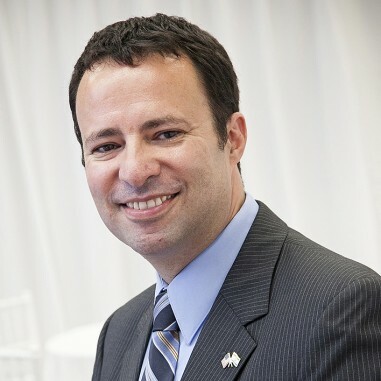 The speaker is Rabbi Steve Leder of Wilshire Boulevard Temple in Los Angeles. Newsweek named him one of the ten most influential rabbis in America. He’s a terrific speaker – thoughtful and insightful. This is simply our chance to celebrate the important and meaningful step our legacy donors have taken. If you are one of our esteemed legacy donors, I hope I’ll see you there.